"I cannot be everywhere at once, Hovor. It is your duty to ensure things are safe on the streets of Aglarond. Pull that thief from the gaol and put him to good use, and make sure Nerrol knows I'll be gone for quite some time." The Simbulmyn, or Simbul's guard, is a small company of elite palace guards who do much more than simply protect Aglarond's queen. They are also expert spies, engaging in secret missions in lands all around the Inner Sea. The primary concern of the Simbulmyn is the safety of the Simbul; but the general security and good order of Aglarond is a very close second, and they maintain a vigilant eye on all potential enemies. 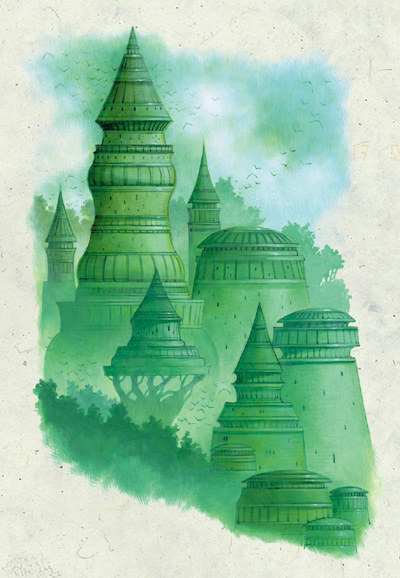 The Simbulmyn devote much of their efforts to watching the armies of Thay and spying out the plans of the zulkirs, tasks that call for lengthly undercover journeys into the heartland of Aglarond's forbidding neighbor. The Guard also work assiduously to identify and neutralize Thayan spies in Aglarond territory. Of late, the rise of the Sons of Hoar (an organization devoted to the god of revenge, and opposed to the lengthy rule of the immortal Simbul) has attracted their attention, although the Simbulmyn are hesitant to suppress the movement for fear of throwing fuel on the fire. The Simbul's Guard is under the command of High Captain Hovor Seawind (CG male half-elf fighter4/rogue6/Aglarondan Griffonrider 8), a former adventurer who is fanatically devoted to his queen and would give his life for her in a heartbeat. Only experienced combatants who have demonstrated their loyalty to Aglarond are invited to join the Simbulmyn (though times of financial hardship and thin ranks can often lead to desperate choices); the typical member is a human or half-elf Ftr4/Rog2, although many wizards and sorcerers may also be found among their ranks. Members are issued a badge, much like the infamous Harper pins. Simbulmy'n Sigil Rings serve as identification among members and offer magical protection. Silas "Pick" Porter found himself thrown into the ranks of the Simbulmyn as part of his 'community service' and was sent on a suicide mission, from which he emerged unscathed (mostly). Ozimander Duskwood is another member of the Guard's ranks.